As a grizzled veteran of the international audiophile campaigns, it takes a lot to impress me when it comes to new gear. Astell&Kern must have some kind of surveillance device in my home since they continue to send me products that raise the bar for portable high-resolution playback. In this case, A&K delivers a brand-new digital player AKA the KANN that brings a whole bunch of everything to those whose listening revolves around portable players. A&K went back to the drawing board when they conceived the KANN, a product quite apart from most of their other AK series digital players, except for the more expensive AK300+AMP. 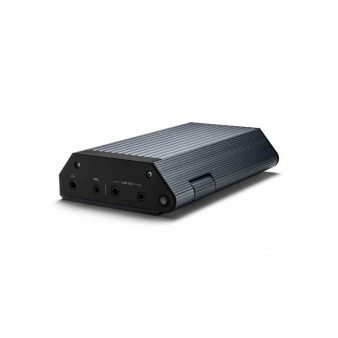 For starters, it is a pretty formidable audio player plus a top-drawer amplifier capable of generating an output up to 7V rms, sufficient to drive higher impedance headphones and low impedance speakers. The solid aluminum case comes in Astro Silver (my sample) or Eos Blue. The top panel offers balanced (2.5mm, 4-pole only) and unbalanced outputs (3.5 mm) for earphones and headphones, higher power balanced and unbalanced lineouts and a small power button. The front panel is dominated by 4-inch WVGA (400 x 800) color touchscreen and recessed volume control built into the right side panel. Swiping the touchscreen from top to bottom exposes touch controls for all the main functions of the player. Below the screen are previous/rewind, play/pause, home, and next/fast-forward buttons. The bottom has ports for an SD card (up to 512 GB capacity) and micro-SD card (up to 256 GB) to complement its built-in 64 GB memory, for a maximum storage of 832 GB. There is also a USB-C port for charging and data transfer and a micro-USB port for audio output, connection to a computer (MTP program required for a Mac) or an A&K CD Ripper. A single AKM AK4490 supports sample rates up to 384kHz/32-bit and up to DSD256 (1bit 11.2MHz) and the following audio formats, WAV, FLAC, WMA, MP3, OGG, APE (Normal, High, Fast), AAC, ALAC, AIFF, DFF, DSF. The KANN can receive Wi-Fi music files via AK Connect that first requires MQS streaming server installation from the A&K website. I connected two large music libraries on a MacBook Air and a NAS device; the files were easily accessed and readily playable. Firmware updates can be negotiated via the Internet (this was not necessary as my KANN review sample had the most recent versions). AK Connect also enables Internet connection to speakers available on the same network (like the AK T1). Playlists can be created on the KANN from stored files and this is also a very straightforward process. 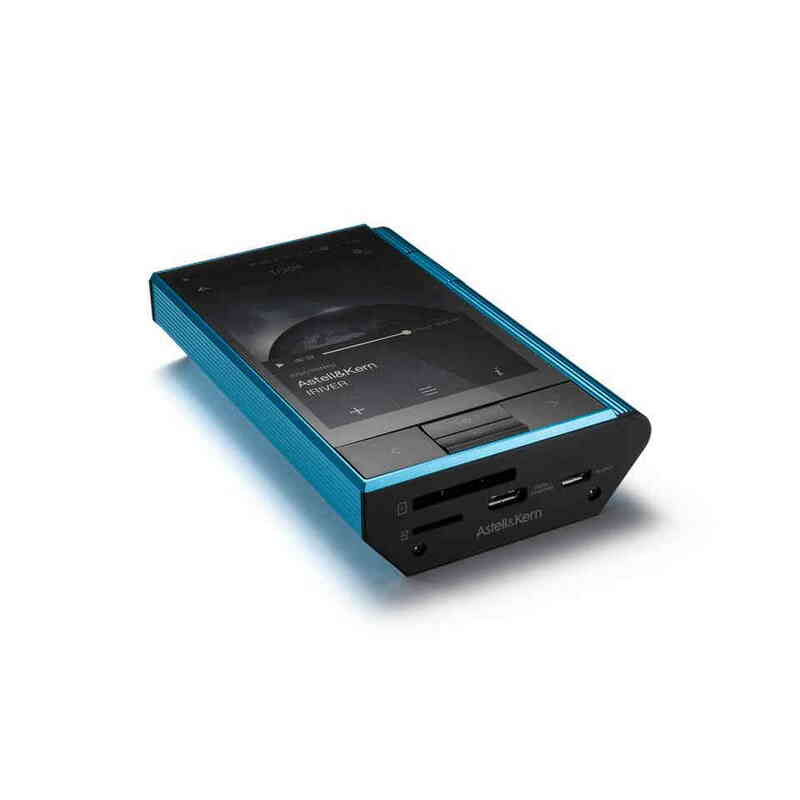 Like the other A&K players, the KANN can be paired with a Bluetooth-compatible device via A2DP or aptX HD. Granted, the sound is limited to CD-quality but aptX HD does pass a 24-bit signal, albeit a 4:1 compressed one. A graphic equalizer is preloaded with a “Pro-EQ” setting that cannot be adjusted but there is a 20-band adjustable option that should suit just about everyone’s audio tastes. The KANN supports rapid and normal charging. Rapid charge will go from a 0 charge to 50% in approximately 1 hour, and a full charge in 2 hours for up to 15-hours of playing time for FLAC 44.1kHz/16-bit files (higher resolution files will result in shorter playing times). Using normal charge, the KANN will charge from 0 to 100% charge in about 4.5 hours. The review sample already was stuffed with more than 20 gigs of music files that ranged from CD-quality FLAC to DSD files. During the listening sessions that followed I alternated my AKR02 unbalanced earphones (16 Ohm impedance), the new AK T8iE Mk II Beyerdynamics balanced earphones (16 Ohm impedance), and Audeze LCD-2 headphones (70 Ohm impedance). For Bluetooth music transmission, I connected individually with UE Megaboom and Bowers & Wilkins T7 wireless speakers. Listening began with Steely Dan’s “Hey Nineteen,” a timeless anthem to older men making moves on much younger women in glorious DSD64. It became very obvious on the balanced AK T8iE earphones that I was getting into something special. The bass was full and articulate, the guitar snapped, and Donald Fagen’s voice sounded quite warm and lifelike. Another revelation was Pink Floyd’s “Time” also in DSD64 as the various clocks literally exploded into my ears. Hearing Michael Jackson’s Thriller album in native DSD64 was also a “thrilling” experience that opened up loads of little details in each cut that I had previously missed. spacious, and sounding better both vocally and instrumentally than I have heard in ages. Another CD-resolution FLAC favorite, The Eagles’ live version of “Hotel California,” replete with the throbbing drumbeats that go through entire cut, sounded fresh and dynamic. As examples of what this player could do with excellent source material, it was also important to recognize the increased value of balanced connections and the increased output voltage that the KANN offered and from which the AK T8iE earphones benefitted more than its unbalanced AKR02 counterpart. Switching to the Audeze cans expanded the soundstage in depth and breadth that the earphones, as good as they were, simply could not match but you are not going on your daily stroll with 5” sonic earmuffs that are pretty hefty to boot. Before the listening sessions ended, I put the KANN up against my reference AK240 with its dual Cirrus Logic CS4398 DACs and the ability to reproduce native DSD files with resolutions up to 1bit-5.6 MHz. While there are theoretical advantages to having separate DACs for each of the stereo channels, there is also an advantage to having a DAC capable of higher resolutions. Perhaps not the standoff that I had been anticipating, at the end of the day, I had to give the nod to KANN for overall musicality and just plan “rightness.” Okay, the world is not perfect and there are always trade offs. The KANN is relatively large, 2.80 ”(71.23 mm) [W] x 4.56 ”(115.8 mm) [H] x 1.01 ”(25.6 mm) [D] and weighs in at a nearly paperweight 10 oz or 50% heavier than the AK240 so it is not really a “pocket player.” Due to its inboard amp, it generates more heat than the AK players that I have had in the past. This may or may not be an issue with those concerned about the exploding Samsung smart phones that also ran quite warm with use (I personally would not consider this an issue for potential buyers). On the positive side, the ability to expand its memory with high-storage SD cards means that you do not need to make Noah-like decisions about which beloved files get on board and which stay ashore. At today’s prices, the 256 GB micro SDs will set you back about $125.00 while the 512 GB SDs are about twice that expensive so maxing out the storage will add a bit less than $400.00 to the price of admission. Still, the ability to carry nearly a terabyte of music with you in a hand or large pocket held device makes a statement about how affordable music-on-the-go has become. 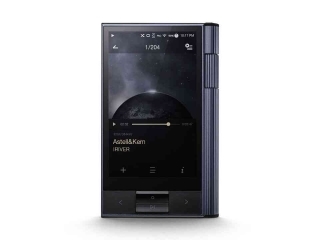 Coming in at about $1000 ($1400 with full memory upgrade), the Astell&Kern KANN is certainly not cheap but considering that you get a terrific digital player, balanced outputs, and high-quality amplifier, it must considered a real bargain. As suggested in the owner’s manual it could be the core component in one heckuva digital sound system. Highly recommended.